Nidhi completed her Bachelor of Prosthetics & Orthotics from the Government Spine Institute, Civil Hospital in Ahmadabad, India. Nidhi specialised in lower limb orthotics and artificial limb manufacture before leaving her home in India. 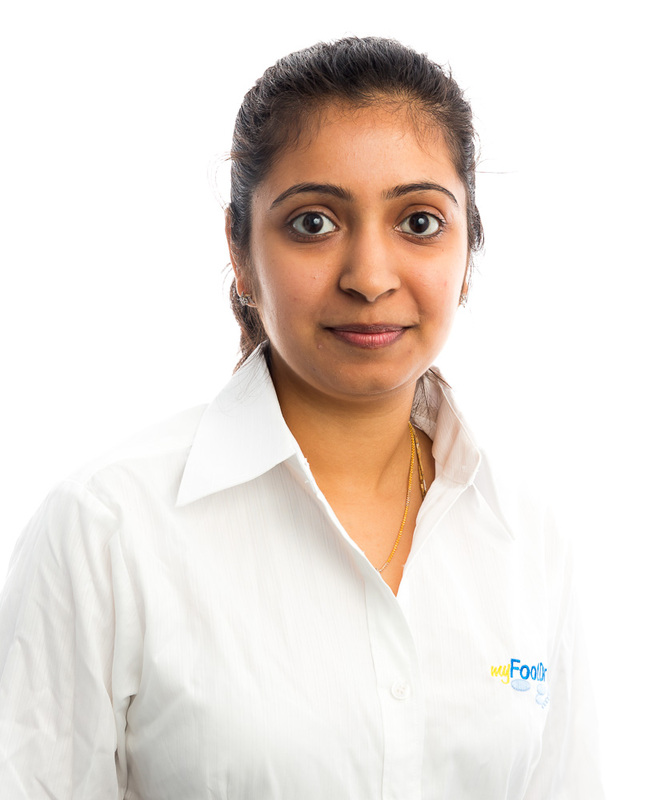 After moving to Australia in June 2012, Nidhi joined my FootDr, where her diverse skill set could be utilised fully. She manages the orthotic fabrication for my FootDr clinics across Australia as well as O&P manufacture of all of our splints, braces and lower limb orthotics including the TAG Brace, ankle foot orthotics (AFOs), knee ankle foot orthotics (KAFOs) and paediatric supra-malleolar orthotics (SMOs). Nidhi is highly trained and regarded as an expert in carbon fibre devices and was the first Orthotist Prosthetist outside of the USA to be trained in building the TAG Brace, a revolutionary, limb saving orthotic used to treat Charcot’s Foot deformities and severe foot and ankle fractures. This device is custom manufactured to provide 100% foot offloading in the most difficult cases. A well rounded team member in the workshop, Nidhi also helps our certified pedorthist custom shoe makers in many stages of shoe fabrication. She is much loved by all staff at my FootDr due to her compassion and sympathy shown to her patients. She loves to visit new places with her husband.